Conferences are exciting – groups of like-minded professionals, gathered together to network and hear experts share their wisdom, sometimes in far-away locales and always with too much food. However, conferences are also expensive, and in some ways, a leftover from days before the internet brought us all together with the ability to connect across time and space. A traditional conference presentation is generally a passive, one-way experience – the presenter speaks and the audience listens. As so many people have gathered, hands on activities are difficult to manage, and the limited time-frame of a conference means that pre or post interactivity may be limited. Twitter (and other similar micro-blogging tools) has changed this. Inviting participants to share with a conference hashtag via a Twitter back-channel at a conference opens a multi-way conversation for a much richer experience. Using a conference hashtag, conference delegates (and even those who can’t physically attend) have a way to discuss their responses to speakers, inspirations and the resources presented at the sessions they attend. Here’s an example of how one person can curate a massive amount of information shared online from a Conference. But wait…I hear you say “a conference what-tag via a Twitter which-channel? ?” The lingo of Twitter can be confusing for the uninitiated, and may be a reason why at so many conferences, this powerful tool is under-utilised. So let me explain. By now most people are aware of Twitter and the increasing number of people using it as a professional development and networking tool. One of the most useful elements of Twitter is the hashtag; a user-generated term, which, when preceded by the # hash symbol becomes a key word that enables users to search and gather together similarly themed tweets. When a conference has a hashtag (such as #sxsw or #edutech15) participants can post tweets that reflect what the speaker is saying, share resources or communicate their inspirations and responses, and ‘link’ these with other delegates by including the hashtag in their 140 characters. 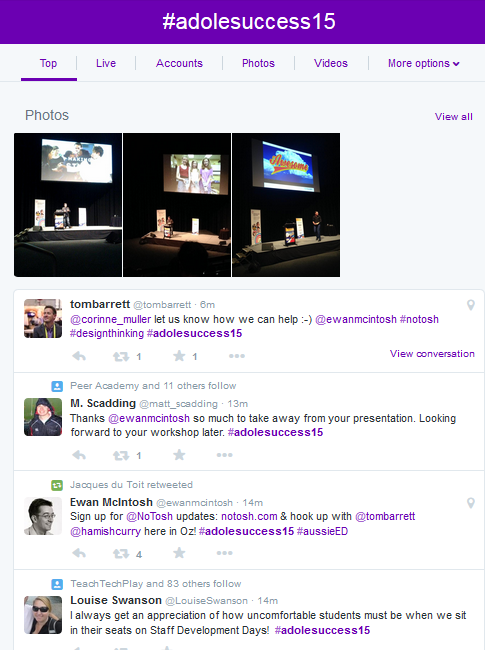 These tweets form the conference ‘back-channel‘ – the discussion between the delegates (and speakers!) that goes on even while the session is taking place. The back channel has always existed (and exists in every classroom or lecture hall) – it is the whispered asides, the notes passed between friends, and the aha moments noted down – but the power of Twitter means that everyone can now benefit from these perspectives, and even those who can’t be there physically can still take part, discovering new interpretations and adding to the conversation. 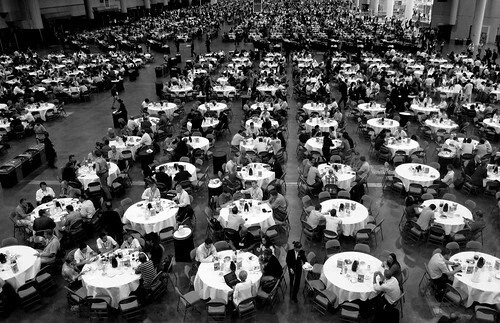 If you are a conference delegate, sharing your notes via Twitter means that you are more likely to connect with other participants (you may notice someone else also tweeting and make plans to meet up) and you are also sharing the conference more broadly with your twitter followers. This can also result in fantastic networking opportunities. Keeping track during a conference can be overwhelming, especially if lots of delegates are rapidly sharing. A tool such as Tweetdeck or Hootsuite helps manage this fast flow of information. These tools allow you to separate the various information ‘streams’ coming in to your Twitter stream across a series of columns; you can follow the conference hashtag in one column, tweets that have been sent to you in another (enabling you to easily conduct a twitter conversation while keeping an eye on the rest of the conference tweets) and a third column devoted to all other tweets. Essentially, these apps provide a ‘dashboard’ experience, so you can stay on top of your social media while it is coming at you from all angles! There is even scope for scheduling tweets, so you can set a specific time to ‘tweet’ (such as to promote your session 10 minutes before it starts, or to tweet resources 5 minutes before the end of a workshop). Having trouble choosing which to use? This article is a simple summary of the best of both. A Hootsuite Dashboard allows you to ‘separate’ out the streams you receive in Twitter. Click to view a larger image. 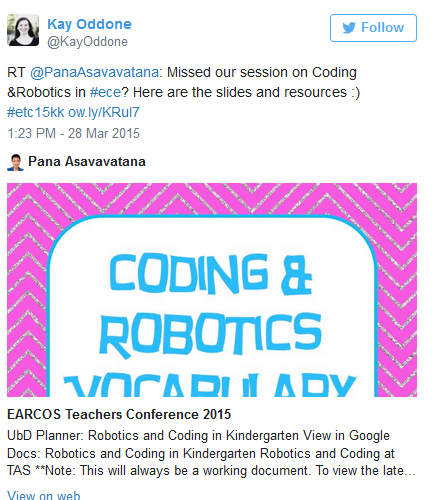 In addition, once the conference is complete, you can use a tool such as Storify to collate all of the useful tweets into one place for re-reading after the event. This is better than note-taking, because not only do you capture your own thoughts and observations, you also can draw upon any of the other participants’ tweets for a very rich reflective piece on what was shared. Click to read this Storify in full. Tweets are 140 characters, so don’t take up characters with a long hashtag (that is also likely to be harder to remember and slower to type!). Select one that is meaningful and related to the conference (and if you are likely to repeat the conference consider keeping the same tag, and suffixing it with the year e.g. #edutech15). Before announcing the hashtag, do a search to make sure it is not already in use – you don’t want irrelevant and unrelated tweets cluttering your stream! Nothing kills a backchannel like hashtag confusion. Label all booklets, posters, fliers and all web presence with the hashtag, so that people can begin to use it even when preparing for the event. Embedding the tweetstream on the conference website also builds excitement, as delegates and those considering attending see the hashtag in use and read about others they might meet at the conference. Create a team of delegates or organisers who will lead the tweetstream. Having regular tweets (preferably with a range of media such as photos or videos attached) can capture the flavour of the conference, encourage others to tweet and retweet quality observations already being shared. If they are happy to wear one, perhaps consider giving them badges so that others who need technical advice might know who to chat to at the conference. Not everyone comes to a conference as a Twitter expert, however many might like to participate if they only knew how. Providing a simple tutorial prior to the conference or in the conference paraphernalia encourages those who are keen to try Twitter, without having to ask others for help (which they may find uncomfortable). Also, give those who are tweeting the opportunity to meet in person, by choosing a time for a Tweet-up during the conference, where all those who have been networking online can meet up in person. This takes the best of the digital world and connects it with the real world for a win win experience! Something like this simple interactive image might be all participants need to become familar with the Twitter interface. Not everyone will be twitter savvy, but everyone can benefit from a public display of the tweets being shared. Apps such as Twitterfall or Visible Tweets make it easy to display on the big screen what others are sharing. Simply type in the conference hashtag and watch the tweets appear! These apps are free, and simply convert the tweets to a more public view; if you want more control (say at a student conference, where it is possible that inappropriate tweets may be shared) paid apps such as Tweetbeam (which also has a free option) allow you to moderate tweets before they are displayed, and give you more control over the way the tweets appear. 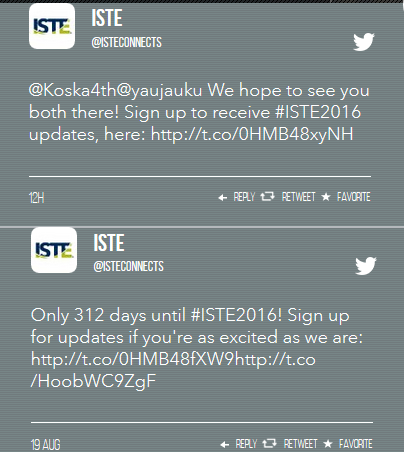 Visible Tweets is just one way to make conference tweetstreams visible. So the next conference you attend or organise, why not take advantage of the power of Twitter to create a much richer experience for everyone. Promote, share, network, question and connect – all the things a good conference aims to achieve! Like this info? Click the image below for a printable handout that might be useful to distribute and share. Could your students make a real difference? Take part in a world first! ITU Telecom is part of the ITU (International Telecommunication Union), the United Nations specialized agency for telecommunications. ITU Telecom organizes global events for the governments, industry leaders and regulators that form part of the world’s ICT community. The first ITU Telecom event was held in 1971 and marks its 40th anniversary in 2011. The next ITU Telecom World event, will take place from 24 to 27 October 2011 in Geneva, Switzerland. ITU Telecom World 2011 [http://world2011.itu.int] is the MetaConference’s physical event in Geneva, Switzerland, bringing together thousands of influential delegates from the telecommunications and technology industries to discuss what steps need to be taken to get more of the world connected. It’s the world’s most important ICT event, where big decisions are taken on how technology can be used to solve some of our biggest problems. And they need the help of your students! By asking your students how they would go about solving problems running through seven major themes, you are not just covering content that is almost certainly in your curriculum – you’re offering a global stage for the ideas in front of the very people making the decisions for all our futures. Ideas and prototypes will be shown to delegates at the World 2011 event in Geneva, Switzerland on October 25-27. In addition, all students will be encouraged to send in their ideas live during the event, with the event’s expert panels answering their questions and points. There are some brief online lesson starters and project ideas to help you make the most of this once-in-a-lifetime opportunity for your students [http://world2011.us/category/inspiration/]. There’s also a collaborative space to share your own teaching and learning approaches, as well as upload video, audio, photographic or written content from your students’ work. In everyday life, technology is ubiquitous. From the moment we climb out of bed, to the time we get back in, we are constantly connected or interacting with diverse digital tools and modes of communication. Everyday life in schools should reflect this reality – when students enter the school grounds, they should not have to ‘power down’ (Manzo,2009) as if they were entering into another world.Our recent experience at Ivanhoe Girls’ Grammar Schoolas part of the Eighth National Interactive Teaching and Learning Conference clearly demonstrated normalised use of digital technology is achievable and well worth the effort. The short movies below capture just some of the many ways the school staff have effectively integrated a variety of technologies into their everyday practice. Although IGG is a very well-resourced school, there were many ideas to be gained that could be implemented in any classroom using the resources currently available. The emphasis on collaborative learning, on developing student awareness and responsibility for managing themselves as digital citizens and the creative use of learning spaces are not dependent upon expensive tools, and are within reach every teacher and student. Being a P-12 school, IGG has adopted a stepped approach to internet access. From Prep to Year Two, access is limited to a small number of thoroughly checked sites. From Years’ 3-6 students have broader access, although still filtered, and from Year 7-12 there is no filtering applied. This allows teachers and students the ability to access the appropriate tool at the appropriate time, with an atmosphere of trust allowing students to apply their digital citizenship skills, which have been developed incrementally throughout the primary years. The conference provided an opportunity for ResourceLink staff to present two papers and to engage with teachers and other professionals from across Australia. There were over 170 sessions, with keynotes from Rick Oser, principal of Golden Avenue School California, and Andrew Churches from the 21st Century Fluency Group in New Zealand. David Seedhouse has developed an innovative tool called the Values Exchange, which is a unique web-based debating system. The system allows students to explore any social issue and powerful social concepts (feelings, hopes, ideals, equality, law etc.) using ‘Facebook-style’ technology. It allows students to explore the Dashboard of instant results (charts, free text, images etc.) in class as soon as they submit their ideas. In this session, Shawn demonstrated how his school manages a 1-1 iPad program, and highlighted how when iPads are not used as shared tools, they can be a powerful device not only for consuming but also for creating. The speed and mobility of the iPad allows students to ‘power up’ whenever they need to record notes, take photographs, access information….the possibilities are endless. 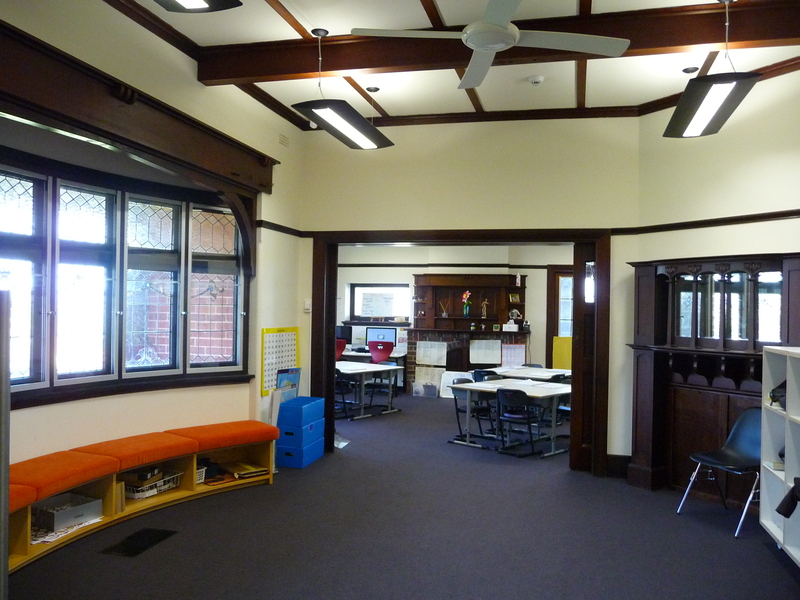 Andrew Churches currently teaches at a school that has a cross platform laptop program from Years’ 6-10, and an open network in the senior school, where students bring their own device to connect to an unfiltered network. In his experience, unenforceable rules, such as ‘thou shalt not use your mobile’ are counterproductive, and he believes that an ethical approach to digital use agreements is the most effective solution for preparing students for active and ethical participation in society. These agreements should be regularly renewed and shaped by student, teacher and parent input. Having shared input creates a sense of ownership and also ensures the policy is comprehendible to all stakeholders. Ownership and understanding were two key aspects Andrew felt were vital when tackling challenges schools are currently dealing with, with regard to social media and digital access. 1. Set privacy settings – on almost all social media and networking sites, privacy settings may be changed to limit who views your account; become familiar with these settings, and use them. 2. Choose a name that is appropriate & respectful –avatars and online identities are a part of interacting online; it is important that the username chosen does not send a message that is inappropriate or disrespectful. 3. Only post suitable info & photos – once something is online, it is almost impossible to remove – see guideline 9 for a good test of what is ‘suitable’. 4. Secure passwords – it can take minutes to break a predictable or weak password; random combinations of letters, numbers and symbols are the strongest and best passwords for high security accounts. 5: Always report anything that feels uncomfortable and be open with a trusted adult – every student should have at least one adult they feel they could go to if they feel unsafe. 6: Don’t participate in & report cyber bullying or unkindness- being a bystander is not acceptable. 7: Report abuse – most sites have a button that users can click to report abuse, inappropriate material or spam – it is free, easy and anonymous. 8: Show care by not flaming or forwarding unkind messages – not only is it inappropriate behaviour, but it is impossible to predict where such messages may end up, and what may go viral. 9: The ‘grandma’ test – if you wouldn’t want your grandma to view/read what you are about to post….don’t post it. 10: Show care by not visiting websites that are inappropriate – the mere act of visiting these sites supports their existence and is not positive digital citizenship. We would encourage anyone to participate in this type of conference. The learning from viewing best practice in classrooms, participating in and delivering conference sessions, the collegial relationships we affirmed and created and ready access to a range of providers of contemporary educational tools made our three days in Melbourne highly productive. Manzo, Kathleen Kennedy. 2009. “Students See Schools Inhibiting Their Use of New Technologies.” Education Week, April 1. http://www.edweek.org/ew/articles/2009/03/24/27digital.h28.html.